When is retirement a healthy choice? Good news! 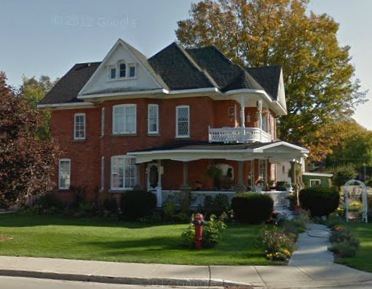 (Though maybe it’s not news to those who have chosen to retire in the beautiful Southern Georgian Bay area.) Retirement might just be the health boost you’ve been looking for. In an interview with Forbes Magazine, the author of a report in The Journal of Human Resources suggests that your potential increase in health and wellness after retirement is the result of having more time and inclination to devote to healthy behaviour and rewarding physical exercise. Even in a study which came to a different conclusion, the authors found that folks who retired because they wanted to, remained physically active and continued to socialize stayed more stress-free and healthier. If you’ve been hitting the slopes, heading out on the cross country trails, or donning snowshoes for a backcountry trek, you’ve been keeping fit and catching some of those rare and welcome rays this snowy winter. But staying in shape doesn’t have to mean bundling up for the great outdoors. Meaford and St. Vincent Community Centre has a big slate of fitness programs to get your heart beating and your blood flowing this winter and spring. Tabatas is also known as the “four-minute miracle”. This high intensity interval workout torches calories and gives you better fitness gains in less than time than ordinary cardio. If you like your fitness with a taste of fun, try line dancing. It’s 50 minutes of boot-stomping booty shaking to good ol’ country music. Designed especially for the 50-plus crowd, Golden Jazz FunFit offers low-impact moves in a dance-based workout to improve strength, endurance and toning. Separate Tap FunFit classes for kids and adults will have you tapping your way to better toning. The Essential Low Back program offers a complete remedial and rebuilding program for your back. Gentle, effective and adaptable to your body size and condition. If you’re wondering what exercise is best for you, try the Stay FitClass and get introduced to a wide range of fitness aids. You’ll do weights, fitness ball, circuits, body weight, partners, tabatas and more. Target one of the most important areas of your body with Core Strength. Your core stabilizes your body during any type of movement and is essential support for your back. 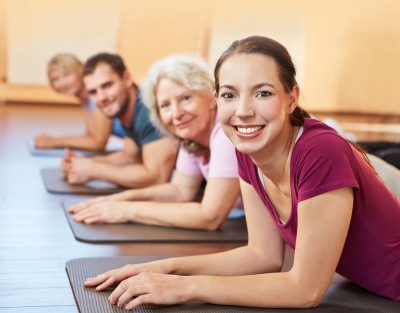 Let’s Get Physical is a fun, musical workout that’s perfect for chronic conditions, such as arthritis, diabetes and osteoporosis. 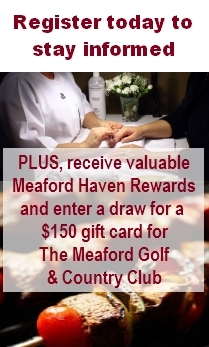 To learn more or to register, visit Meaford Parks and Recreation. 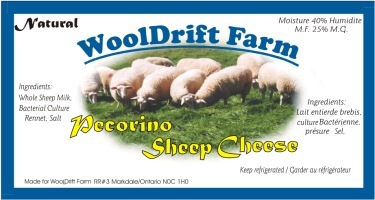 When you’re in Meaford, make sure you stop by The Market and pick up some WoolDrift Farm sheep cheese. The artisanal pecorino, feta, and olive meadow is made with milk from Meaford’s local sheep dairy, Wooldrift Farm. While the idea of milking sheep might raise eyebrows here, worldwide dairy sheep outnumber cows at least three to one. Roquefort is a sheep’s milk cheese, as is Ricotta. Asiago was traditionally made from sheep’s milk, and can still be found in that form today. And today, many other artisanal cheeses are being made using sheep’s milk, including Brie. And then there’s Greek yogurt, traditionally made from sheep’s milk. 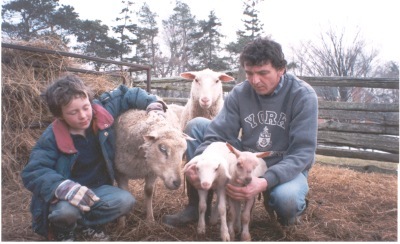 Now, a few North American producers are producing homegrown sheep dairy products, in no small part thanks to Axel Meister and Chris Buschbeck of WoolDrift Farm. 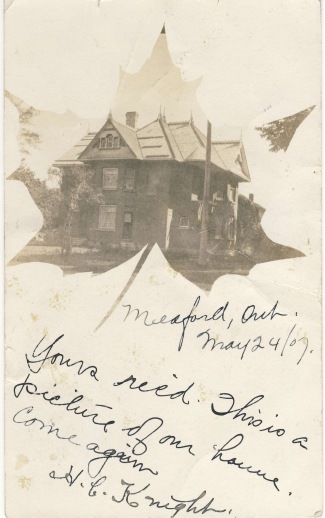 While they initially raised their sheep for meat, the lack of sheep dairy products in North America caught their attention. “We thought we might as well start,” says Axel. Eventually, after a long, difficult process, they became the first to import purebred East Friesian sheep from Europe. East Friesian are recognized as the best dairy sheep worldwide. How did they do it? They imported frozen embryos and implanted these in Canadian Rideau Arcott ewes to deliver them to term. These were Canada’s first “true” milk sheep, and the purebred East Friesians have since spawned generations of North American milking sheep. In the nearly 20 years since their first batch of milk, WoolDrift has built a large clientele of processors who buy their milk, and has become a prime source of breeding stock. And then there’s WoolDrift’s own brand of cheeses, cream cheese, yogurt, labneh, “sheep milk bath”, a personal care product, as well as meat, including prepared meat pies and sausages. 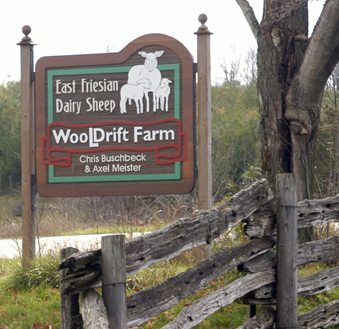 WoolDrift welcomes visitors by chance, at their farm near Walter’s Falls.